Below are some guidelines for evicting a person in Chicago. Most of this Document assumes that the rental unit is covered by the Residential Ordinance. Under this Document the Chicago Residential Landlord Ordinance, Chicago Municipal Code Title 5 Chapter 12 is referred to as the RLTO. You can obtain a copy of this Ordinance on the City of Chicago Web Site. Use a five-days Notice if residential. If the Property is commercial and the Lease has a clause waiving service of any Notice of Default, then no five-days Notice is required before commencing eviction procedures. Only the amount of Rent may be included in the amount due to the Landlord. Late fees, unpaid portions of security deposits, parking fees and the like should not be included on the amount to be paid. For Termination of the Tenancy never put a termination date on the Notice. Use language such as the Lease will terminate five days after service of this Notice as there may be problems in serving the Tenant timely. If the Tenant tenders the entire sum due during the 5 days, then the tenancy is reestablished. You need to exclude the first day and include the last day unless the last day is a Saturday, Sunday or other legal holiday. If the last day is a Saturday, Sunday or State of Illinois legal holiday it is excluded and then the last day in which the Tenant may pay under this Notice is the next business day. Thus if you serve a five days on Tuesday, then first day of the time period starts on Wednesday. Second Thursday. Third Friday. Fourth Saturday. Fifth day would be then that next Monday unless that Monday was a state Holiday. Therefore the Tenant can pay the amount due for back rent on that Monday. The Lawsuit for Eviction cannot be filed before the last day under the Notice. Best to wait a day or so after the end of the 5 days. If the Tenant tenders less than the entire sum due and the Landlord accepts it, then under the Chicago RLTO the tenancy is reestablished and the Landlord must serve another 5 days notice on the Tenant. Probably best only to accept the full amount of rent due during the 5 days. Since if the Landlord accepts any money from the Tenant after serving the 5 days notice then the tenancy is re-established—unless leave of Court is granted for the same—a new Five Days Notice should be served upon the Tenant in order to preserve your rights to file an eviction case. If tenancy is not under the RLTO, then the Landlord may accept the amount offered, credit the outstanding rent and still sue based upon the 5 days notice. Breaches of the terms of a lease normally require at least a 10-days Notice for termination such as having pets, excessive noise, etc. For Property covered by the RLTO, the Landlord must serve a 10-days Notice explaining the violation and demanding that the Tenant correct the Tenant’s behavior. This is in essences a cease-and desist notice. If the alleged violation occurs again within 60 days, the Landlord must serve a 2nd 10 days Notice and upon termination of this 10 days Notice start eviction proceedings. For Property not covered by the Chicago RLTO, then the Lease terminates upon the end of the 10 days Notice period and if the Tenant remains in possession then the Landlord may commence eviction proceedings. If a Lease expires by its terms, and the Tenant does not give possession back to the Landlord, then the Landlord can file an eviction lawsuit immediately without serving any notices. If the Landlord does not file an eviction but accepts rent from the Tenant, then a holdover tenancy is created for an identical length of time under the same terms as the expired lease. The Chicago RLTO requires that the Landlord provide written notice at least 30 days prior to the termination date of the rental agreement of the Landlord’s desire to renew the tenancy or terminate the same. If no Notice is given that the Tenancy will ends at the Lease end date, then the Tenant may remain in possession up to 60 days after the the date such written notice is given to the Tenant under the same terms of tenancy including the amount of rent. For a month to month tenancy to one can terminate by giving a 30-Days Notice. This Notice must be given no later than the last day of the month preceding the month in which the tenancy will end. Calculating the days you need to exclude the first day and include the last day unless the last day is a Saturday, Sunday or other legal holiday. If the last day is a Saturday, Sunday or legal holiday it is excluded as well and then the last day is the next business day. Normally tenancy starts on the day rent is due. Tenancy ends at midnight on the last day. Request that the Tenant vacate the premises on or before that day and asked that the keys be delivered to the state person at the address provided in the Notice. Be delivered to Tenant personally or be served upon a person 13 years or older who resides in or is in possession of the premises. However server must know that that the Tenant is in the apartment at the time of the alleged service. Be mailed certified or registered mail returned receipt requested. Effective if the Tenant signs for the green card and the landlord has it at court. This is only effective if the Tenant has moved out of the Property. Not effective if the Tenant is avoiding service. Commercial Leases may provide some other method of serving Notice which is effective such as mailing Notice by US Regular Mail. Tenant gives actual notice of tenant’s intention not to return. Rent is unpaid and the Tenants and all people under the rental agreement have been absent from the unit for more than 32 days. Disposing of abandoned property. If the Tenant leaves a dwelling unit and fails to move personal property the Landlord must store the Property and dispose of it after 7 days. 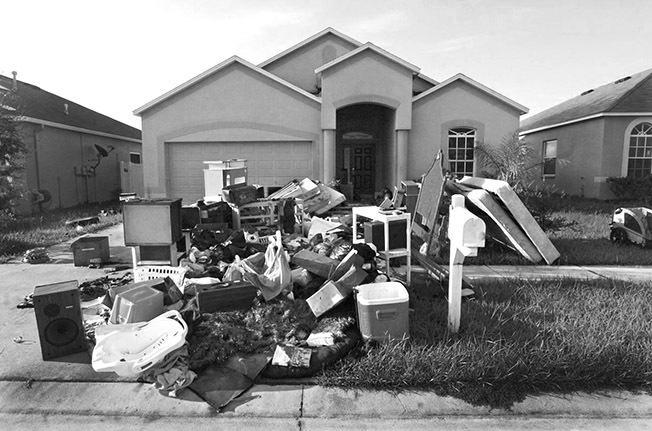 However if the Landlord believes that the abandoned property is valueless and that the costs of storage would exceed the amount realized at a public sale or such property is subject to spoilage, then the Landlord may dispose of said property immediately. Under the RLTO, unless an emergency, the Landlord must provide a Tenant 2 days Notice of its intent to enter the rented unit to do work on the Premises, allow governmental inspections, exhibit Premises to prospective purchasers, contractors, prospective tenants 60 days or less prior to expiration of tenancy. If a Tenant refuses to allow the Landlord, then the Landlord may file an eviction proceedings against the Tenant per the 10 days Notice procedures above.